1. 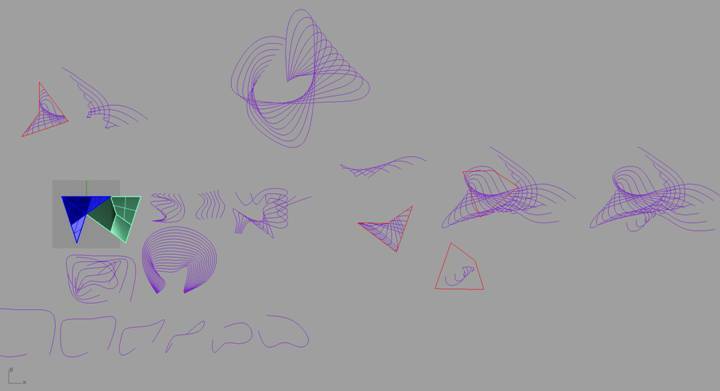 We started off by doing some random shapes and blending them. 3. 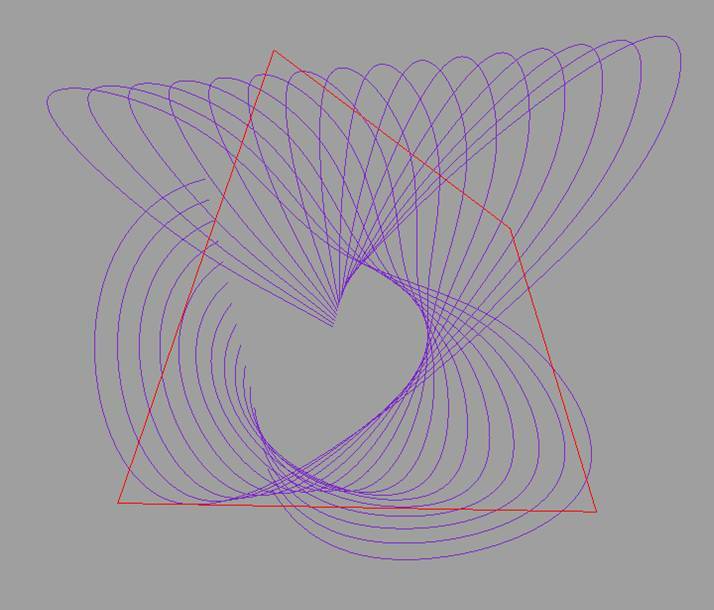 After doing a few different blendings, we started to work with the penrose shape Jess gave us. 4. 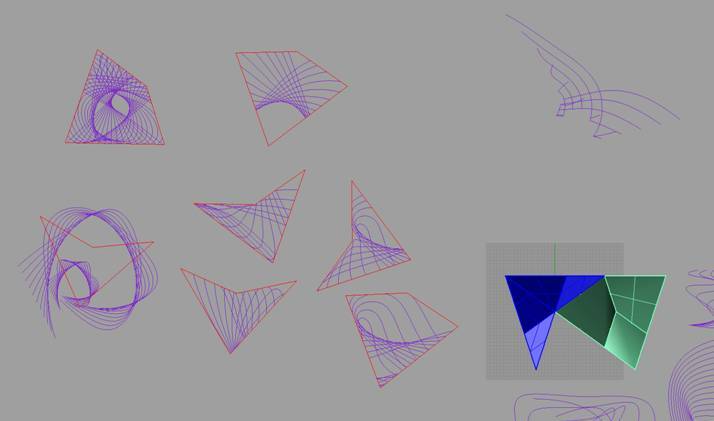 Now we're just trying to fit the pattern into the Penrose shape and doing some ammendments. 5. Here's a close up of one of the patterns we played around with. 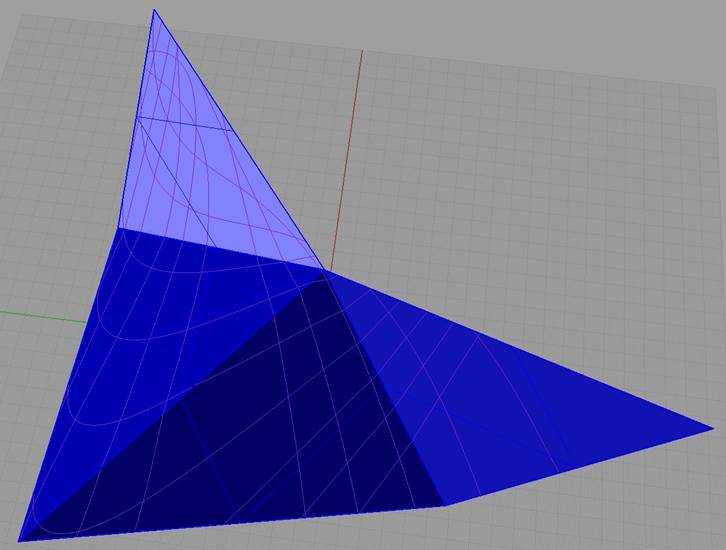 We scaled, rotated and trimmed the pattern to fit in the Penrose shape. 6. 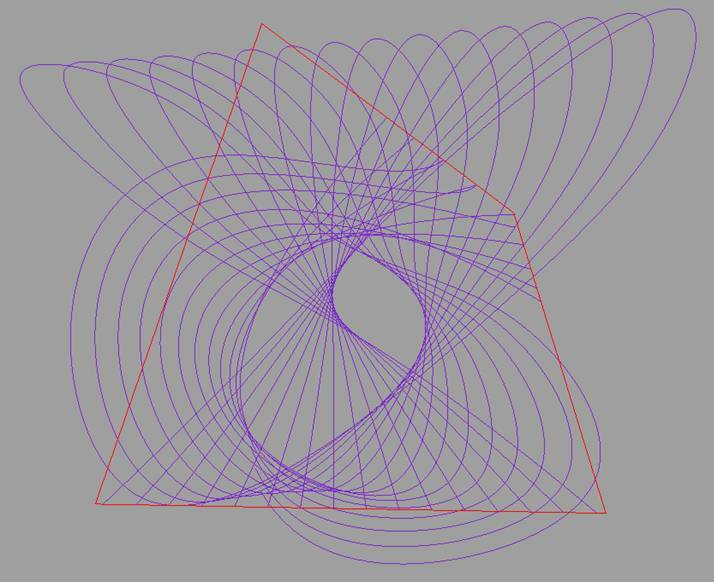 Here we extended the lines so that it is more complete inside the shape. 7. Adjusted & trimmed the excess lines. 8. Here we tried another crazy idea but the lines were too close together for the CNC tool so we won't see the details. 9. We put all the patterned Penroses together to decide which ones we like. 10. We arranged the shaped patterns together to compare which ones we liked. 11. Here are the "chosen ones"! 12. After deciding on the final designs, we made an appointment with Andrew. He said that we needed to create a surface with the patterns on it. 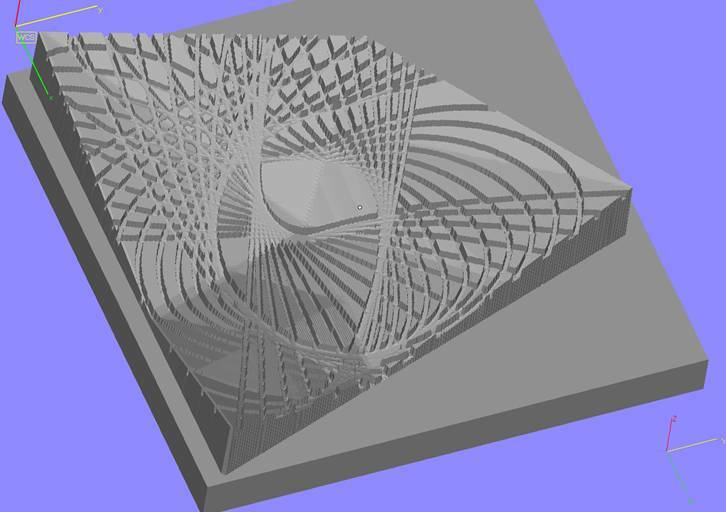 So we projected the lines onto the Penrose surface and deleted the sides and base - keeping only the top. 13. Here's a close up of the other Penrose surface. 14. After projecting the pattern to the surface, Andrew started setting up the file ready for CNC routing. Step1: He created the Jelutong stock and positioning the surface at the top-centre of the stock. Step2: He created another surface for where the tool stops routing - preventing the tool going all the way down to the CNC bed. Step3: He roughly routed the larger chunks of the stock. Step4: He used a finer tool to route closer to the surface we want. 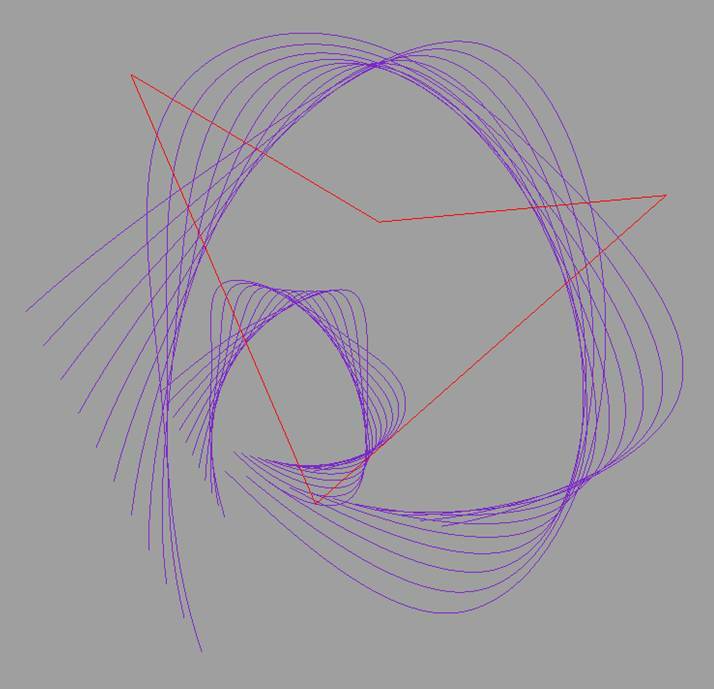 Step5: He used a "Pen Tool" to route the pattern. The tool is 3mm thick and he cut a depth of 6mm. 15. 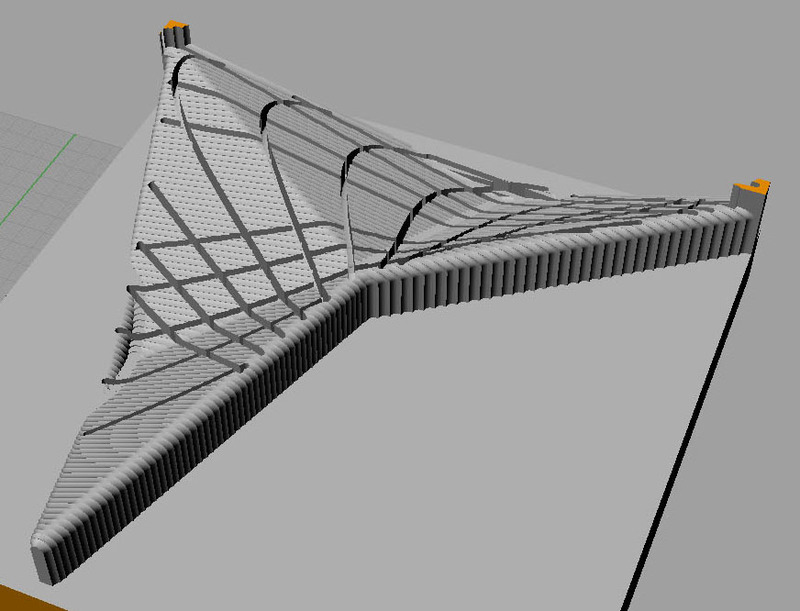 So after all that, here is the STL file of the simulation! 16. Here's the foam Penrose with a simplier pattern. Initially we wanted a 'Plunge re-roughing' surface cut but it looked too busy with the engraving. 17. The surface cut is much cleaner but on close inspection there's a slight pattern on it. Well, we see when the model is made! We used blending to create two patterned 3D tiles in Rhino for our subtractive fabrication process (using a 3D axis CNC MILLING machine). We started off by creating two different curves and then blending them together. 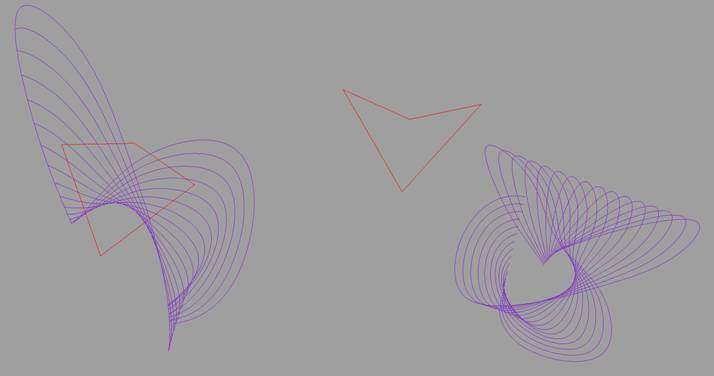 We explored different variations of curves and then blended them. After we created a variety of blending patterns, we chose the ones that were interesting. Then we combined the pattern with the Penrose shape. 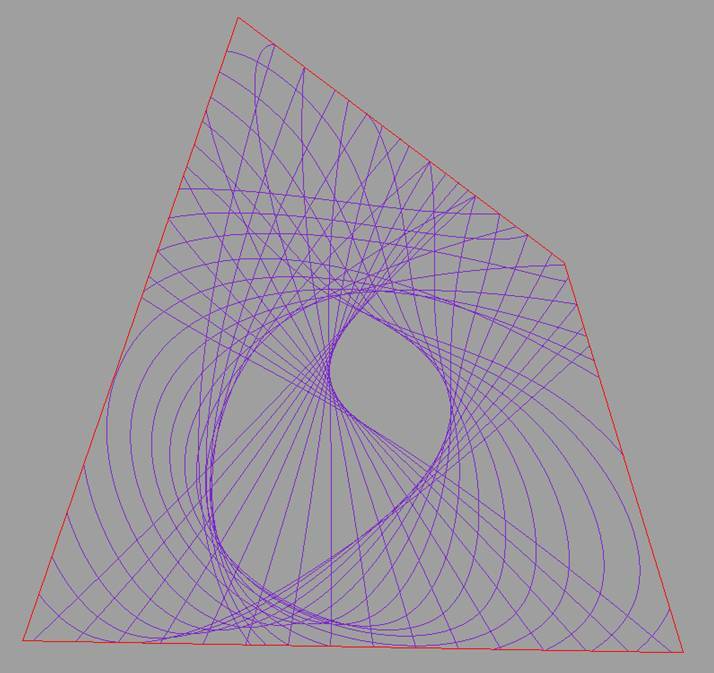 We worked around the parameters of the Penrose shapes by scaling and rotating the pattern. 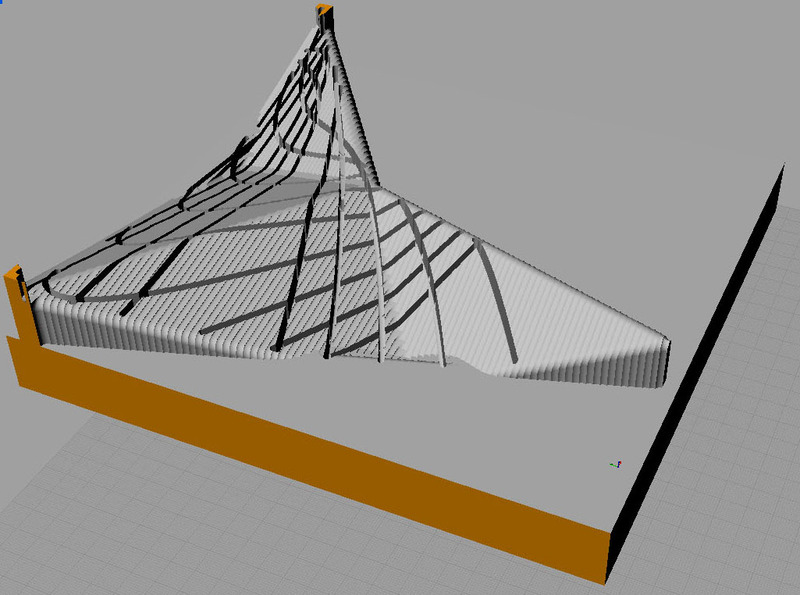 Then we started trimming and adjusting the curves of the pattern because some lines were too close together – affecting the outcome of the pattern after routing. Some curves were disjointed so we used extend to make the pattern look more complete. 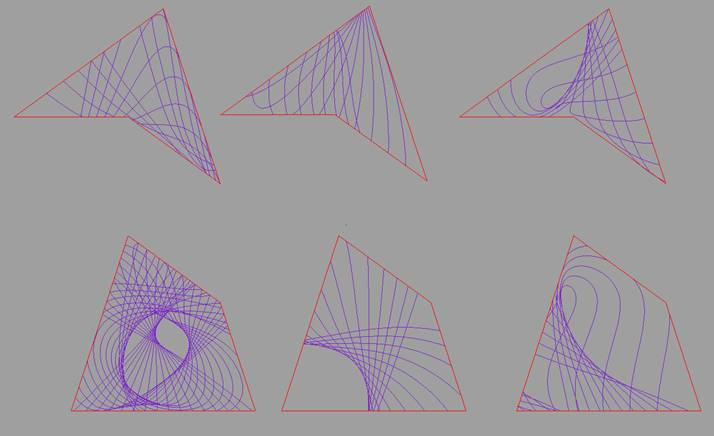 We created 6 variations and chose our 2 final patterns – one for each Penrose shape. We decided on a more intricate pattern for the Jelutong Penrose because the CNC tooling can create fine details with wood. We used a less intricate pattern for the foam Penrose because foam is soft and does not bring out fine details.